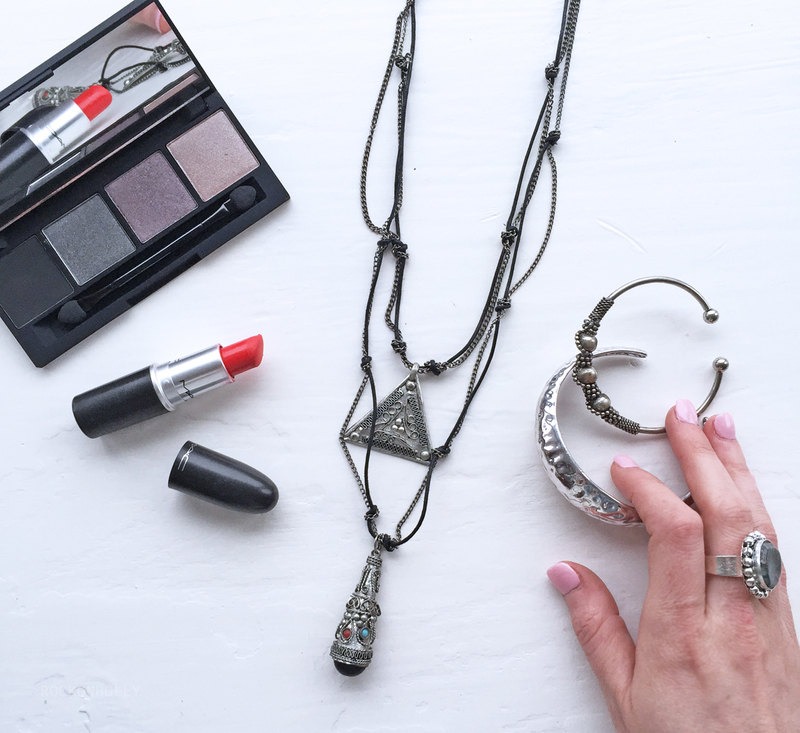 I love that with the Boho Vibes, it generally seems to be the more jewellery, the merrier. 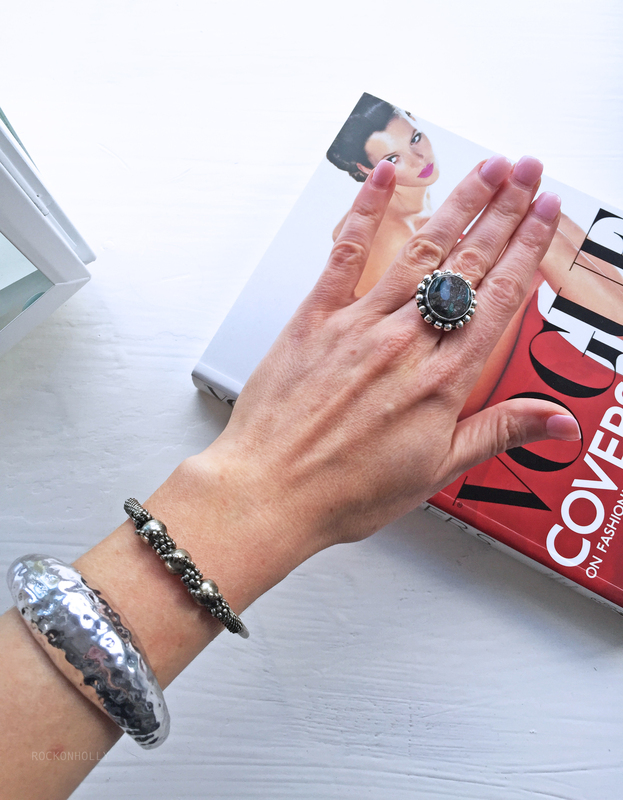 You could literally layer up pretty much all of the pieces in this post - and still have room for another bangle and ring or two! Have you heard of Her Curiosity before? Which piece is your fave?? So unless you've unsubscribed from all your emails this week, you'll have no doubt heard about 2 of the most talked about Fashion Collaborations that landed this week... Beyonce and her Ivy Park range (coming to this Blog v. soon...) AND the Alexa Chung Archive Collection for M&S!! Oh, ma, gawd. As soon as I heard this had launched, I rushed online to see which iconic pieces Alexa had styled up. The range didn't disappoint. Combining Alexas, classic, preppy style with some of M&S's most iconic pieces, the collection is unique yet stylish. There were a few things that caught my eye, but this Eliza dress stole my heart! 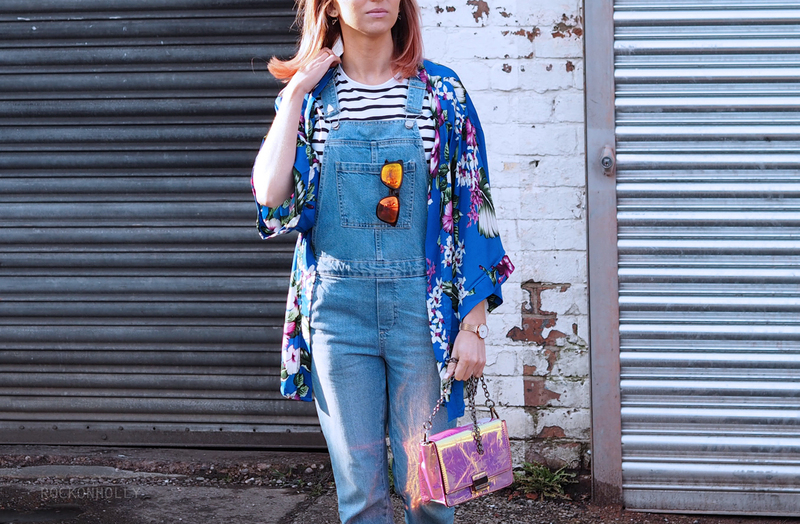 The paisley print is retro, but the bright colours give it a modern, Summery feel. I was really surprised when it arrived as this was not quite as I thought it would be like from seeing the pics online. However, I do think it's actually nicer! I also picked up the Mae playsuit which looks really cute with a white or striped tee underneath, and also the Ada blazer which again, is much nicer in real life! The lining is stunning and the fit is really flattering. A really great quality piece. I was really impressed with the pricing of the range too and am pleased to see that M&S haven't pushed the prices up unnecessarily. 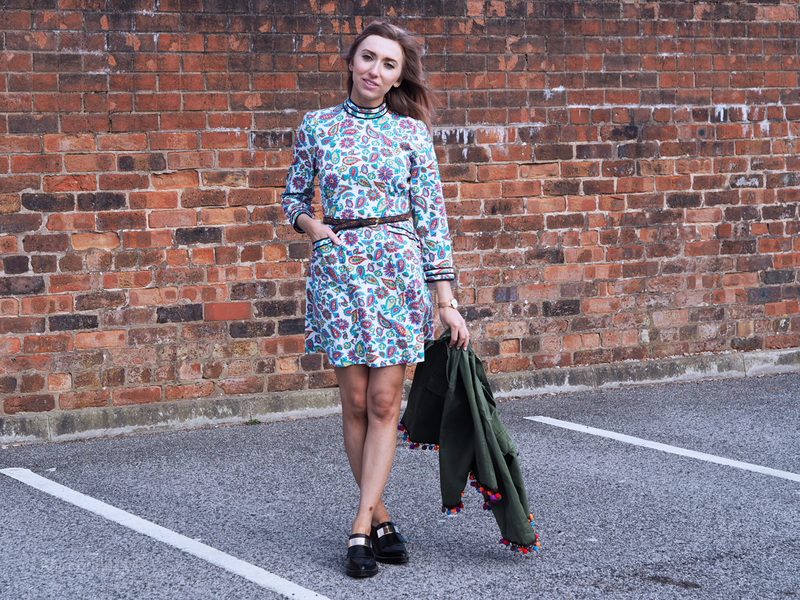 I teamed my dress with my trusty Zara brogues (very Alexa of me) and this vintage jacket on ASOS. I love the Pom Pom detail on the cuffs and hem! 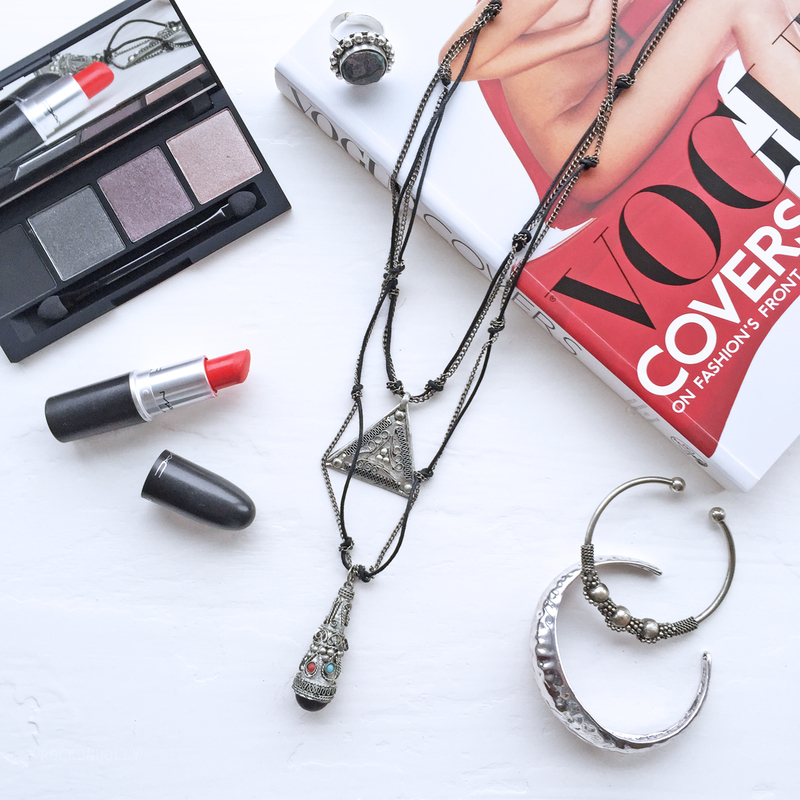 It's perfect for the upcoming festival season and the boxy shape is very on trend right now. What is your fave piece from the Alexa Chung collection? Let me know if you would wear this dress or not! As soon as I spotted this navy jumpsuit, I knew this was the outfit I needed to wear to my friends Wedding recently! I love that this has a retro feel to it with the button up front, but the cut out detail and culotte pant legs, keep this modern & fresh. 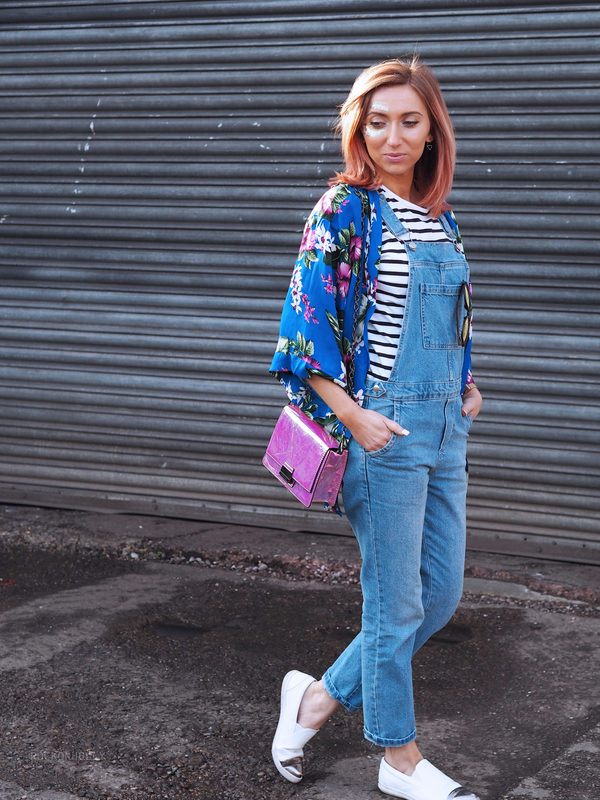 I teamed this with my navy ASOS blazer to give the look a tailored feel. The heels are also from Little Mistress, they have a really cool mix of heels and styles, I'd definitely recommend checking these out! Hair update! 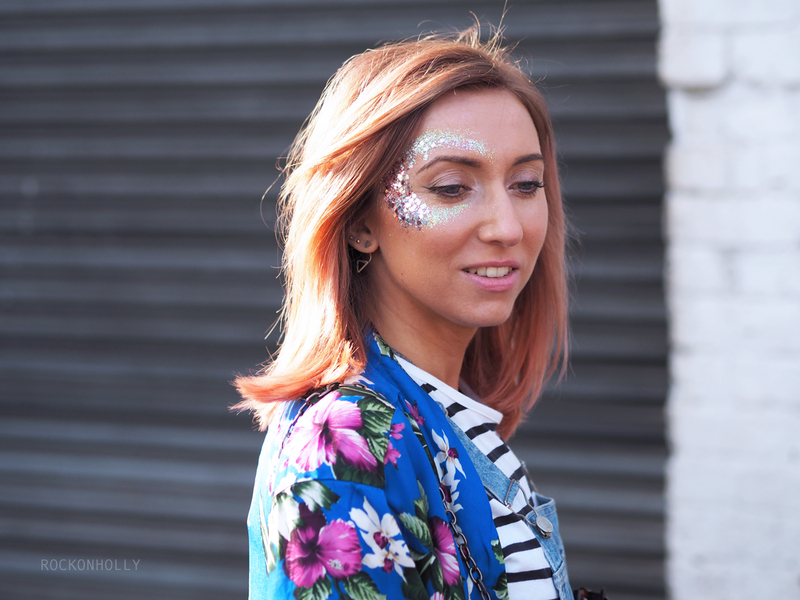 If you want to read more about how I got this cool peachy colour, then head over to my Watercolour hair blog post. I had this done about 2 weeks ago now and the colour is still going strong. 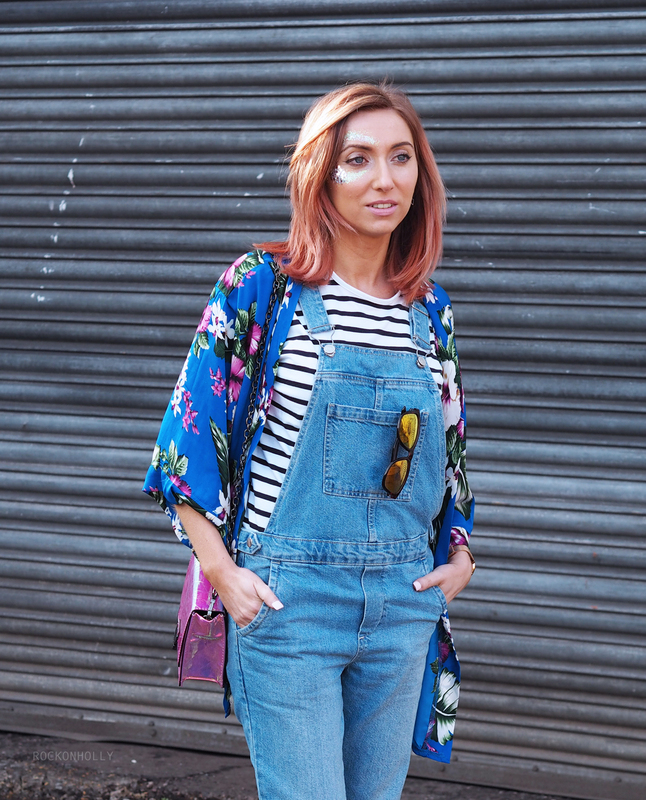 What do you think of the jumpsuit trend? Have you got any Weddings coming that you are looking for an outfit for? The event was held to showcase some of the amazing locations that Jet 2 are heading off to this Summer - Malta, Majorca, Tenerife and even Magaluf (don't get scared...) which now has the coolest looking Beach Hotel - complete with adult water park after a €15 million investment! Woo! Keep an eye out for them at a festival / event near you soon! Are you ready for Summer yet? What are you most looking forward to wearing when the weather gets better? So, last week I was kindly invited by the Matrix team to be one of the first to try out their new Watercolour hair dyes. (HOW EXCITING!) The Watercolour range includes a range of shades, but! These are colours with a difference. 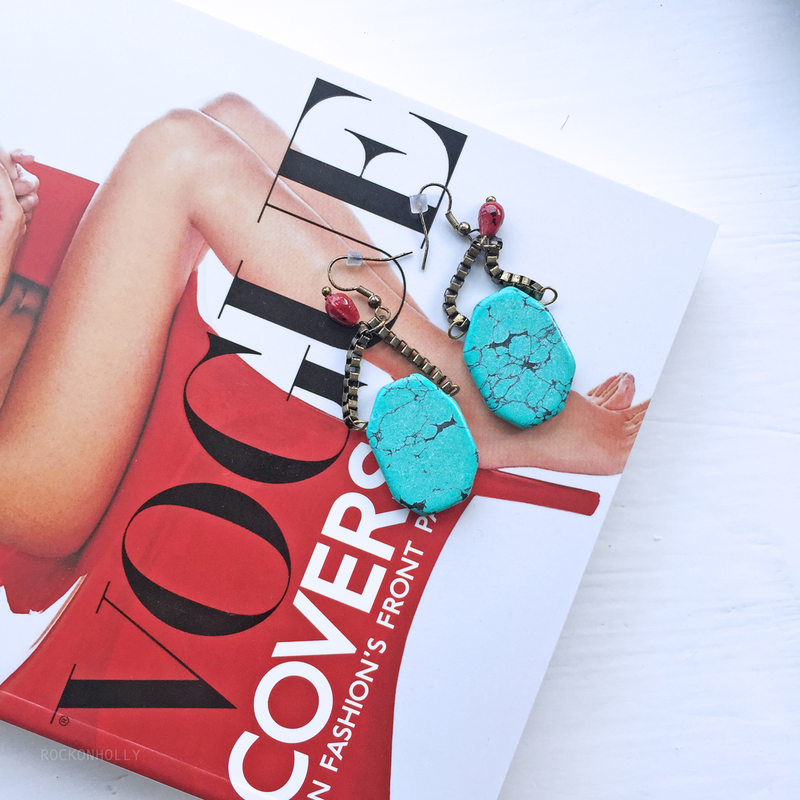 The range includes the following colours: Moss Green, Blue Sapphire, Coral Peach, Berry Violet & Quartz Pink. However, these aren't your usual pastel shades, Matrix have carefully created these colours so that they appear as muted, colour tones - suitable for all age groups. In their pure tones, they are sophisticated and wearable, but when diluted, they create, faded pastel colours. The best way for me to describe these is, if you were to imagine that someone could be born with, for example, blue hair, then this is how it would look!! The colours aren't outrageous or wild, they are a way for you to add colour to your style in a (dare I say it) "natural" looking way. 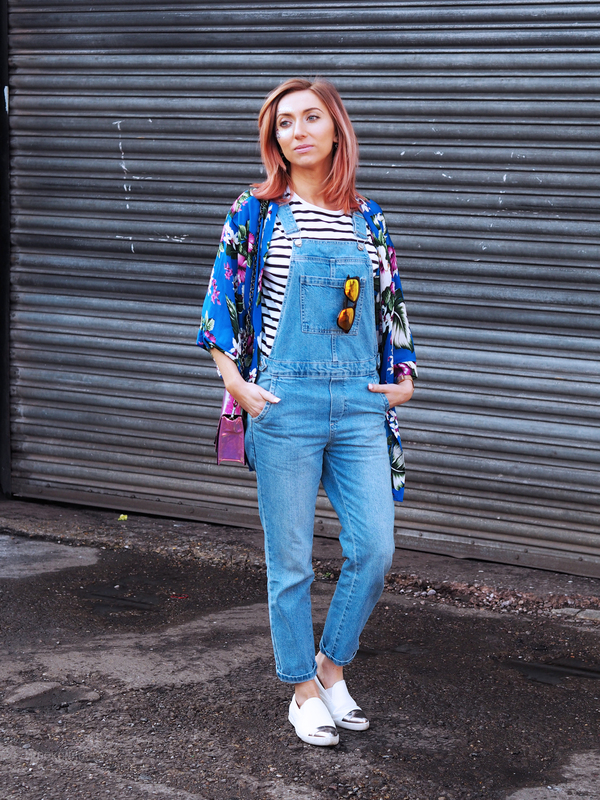 Yes, colour is officially cool. We decided that with my natural ombre hair, a root stretch using a blend of Berry Violet with Quartz pink, would work well. 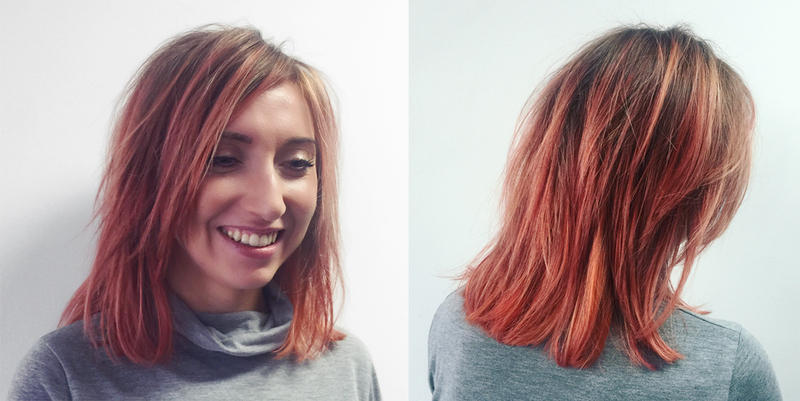 This then moved down towards vibrant, pure tones using Quartz pink and Coral Peach on the mid length and ends. Several strands were hand painted at random to break this up and add depth. For the top section, Adam diluted some of the tones towards the ends to add another dimension of colour to the look - I LOVED these shades as they looked like pink highlights! The watercolour shades all contain ceramides, so not only do they colour your hair, but they care for it at the same time. Unlike other dyes which just stain and can even damage your hair, the Ceramides in the Matrix colours actively repair any damaged areas. Once my colour was applied, you could really see the difference - so much shinier and healthier than before. As you can see, the colours can be mixed and blended together - almost like an artists palette, to create a wide range of colours. I was totally spoilt for choice! When I first heard about the range, I thought I would be drawn to the purple colours that I have dyed my hair previously, however, there was something about the pink that I thought was so different to the other "pastel pink shades" out there at the moment. I knew this was the one for me! I have to say a MASSIVE thanks to Adam and the team at Matrix for my amazing Watercolour make over! I LOVE IT. (And it was probably the best blow dry I've ever had). I'm amazed and pleased that even though the range can be found at all Matrix salons (From April 2016) I got this look right here in Manchester! What do you think of the colours? Which shade would you be tempted to try? *My hair colour was provided as a complimentary service by Matrix and Ethos hairdressing, but all opinions are my own. So, this outfit is the typical kind of thing that I would wear to work - and literally, as this is one of our very own Rock On Ruby sweaters! As we moved into Spring this year, we launched a colourful, range of tribal inspired sweaters. We wanted to give the range a positive, empowering feel to it. So we incorporated key words like, BOSS, AWESOME and Who Run the World?? 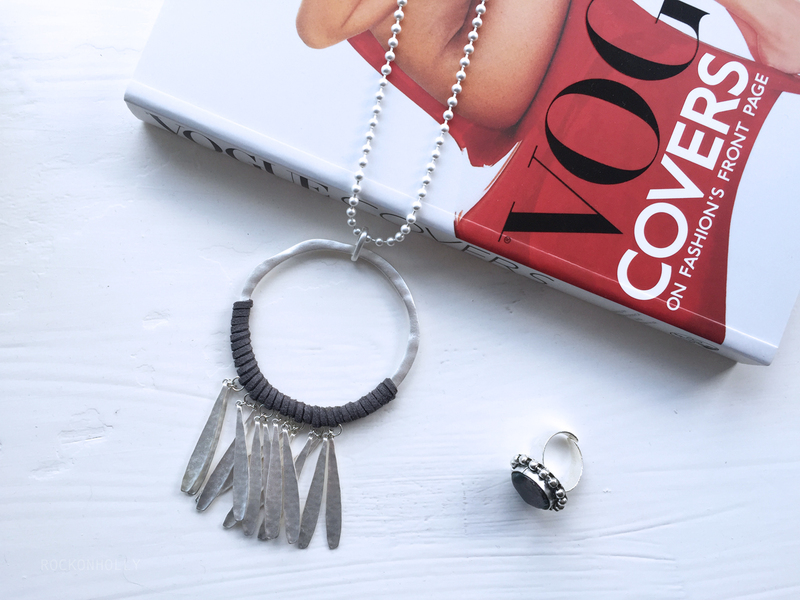 AND a little sneaky, preview for you here... I teamed my sweater with our very own Rock On Ruby jeans!! Eek! Yup, we're launching a denim range, so watch this space!! Luuurve that flash of tribal detail on the sleeve!! If you could any word on your sweater, what would it be? Yassss!! It's THE Jacket of the season! Unless you've been hiding under an anti-fashion rock lately, you'll have seen The Bomber Jacket EVERYWHERE. 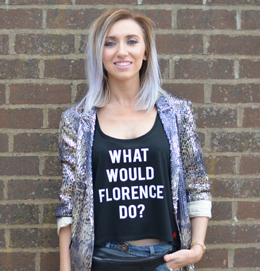 In high street stores, at Fashion Week, on celebs and definitely on a Blogger or two... Myself included. 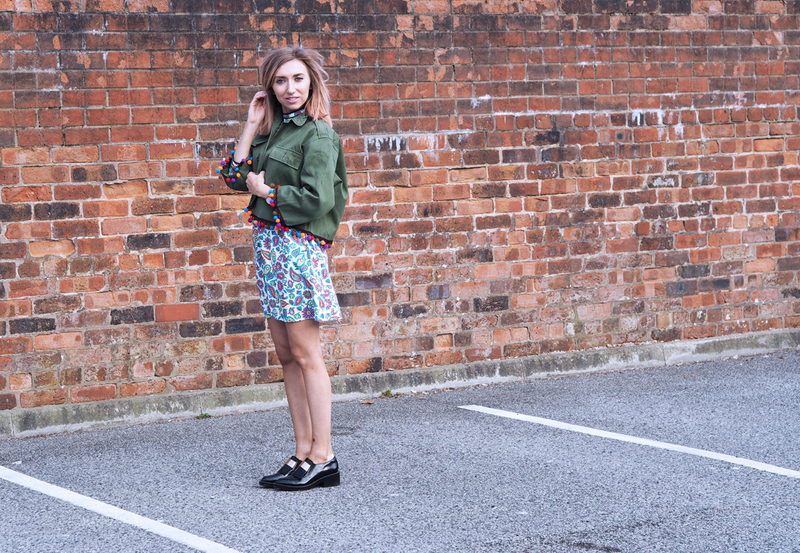 I caught onto the trend last Summer with River Islands almost vintage style jacket. 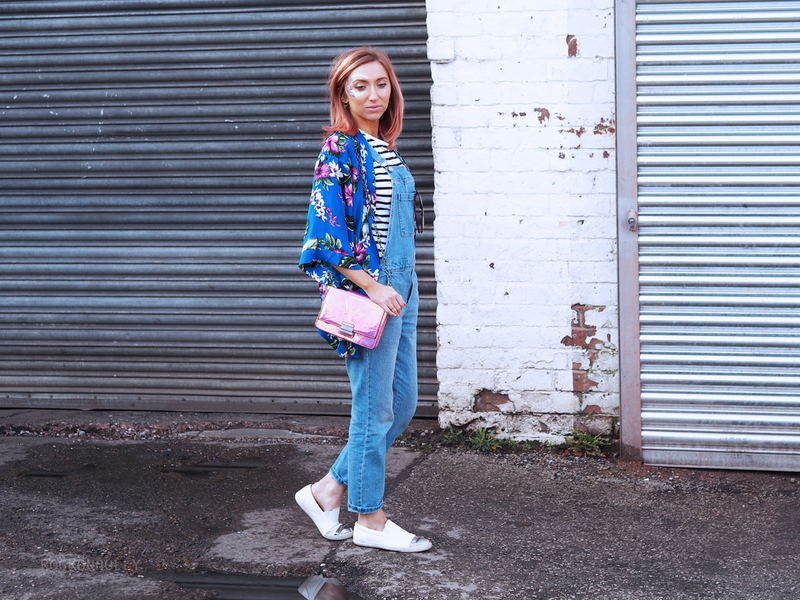 It quickly became part of my "go to outfit" for day to day, effortless cool. As per usual, USC throw up an epic bargain with this bomber - just £30!! This jacket is perfect for this time of year as it slightly padded, so is great in this chilly Spring weather. 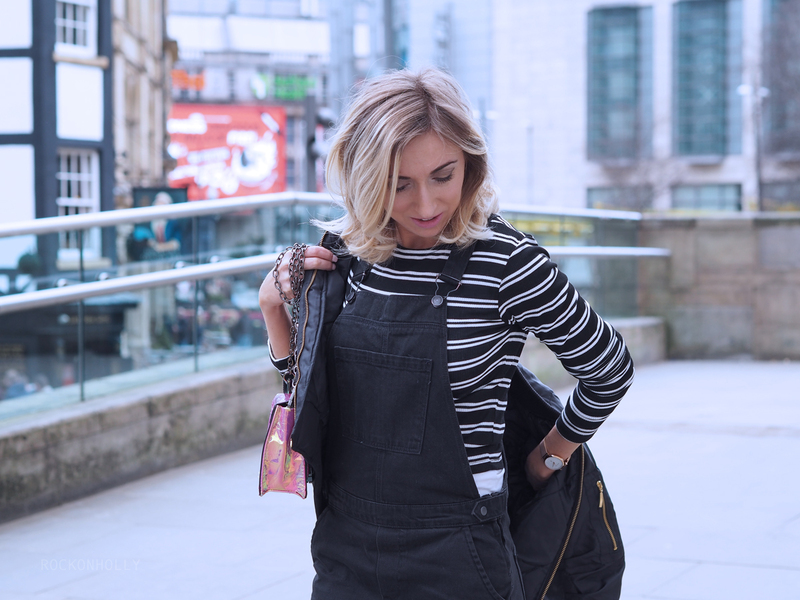 I took these blog pics the day after I had been to the new Style Station in Manchester's Arndale Centre. 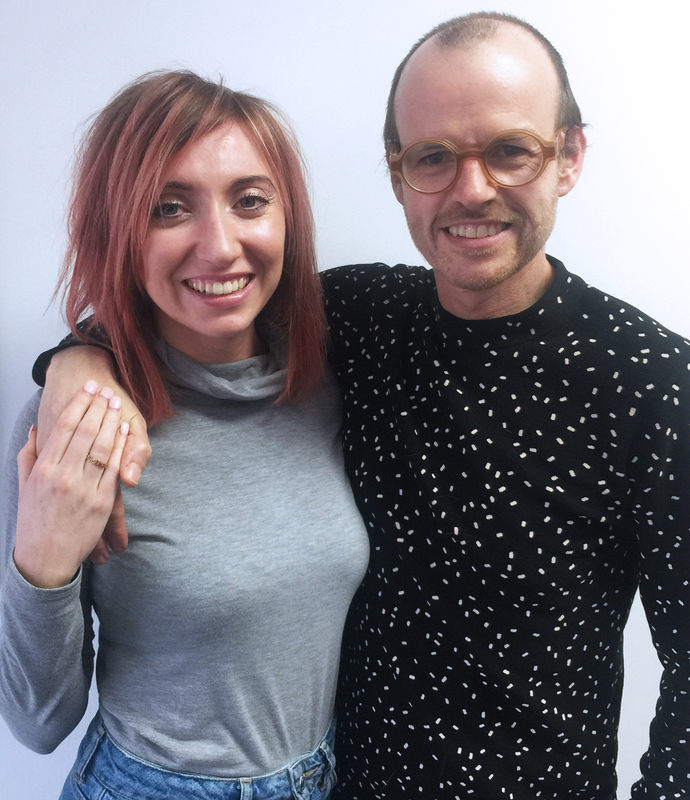 The hair styling stand is new to Manchester and has been brought about by the team behind Red Angel Hair in the Northern Quarter. They offer a range of different hair styles and updos that can all be created in around 10-20 mins - and some for a bargainous £5!! I had asked for a half up, half down do with little plaits running through loose waves. 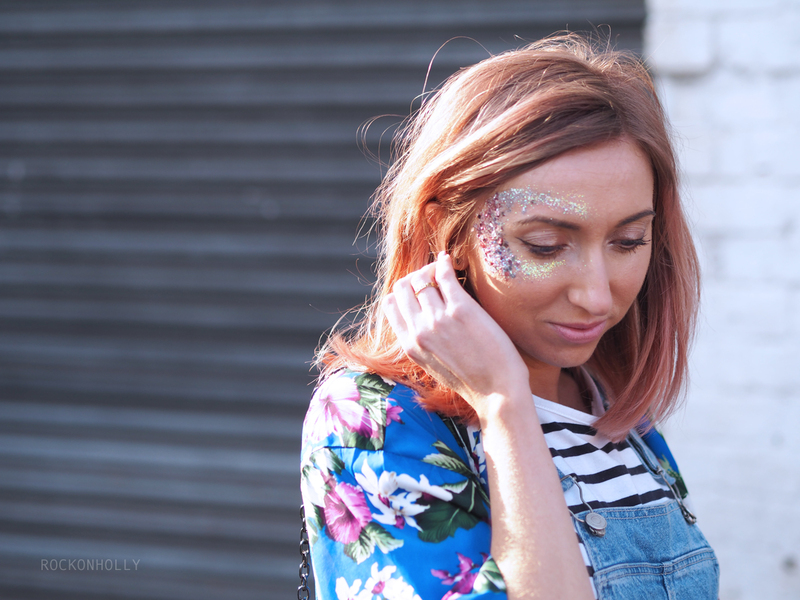 It was very boho and perfect for a festival! Amazingly, the curls stayed in even the next day! If you've spotted the Rose Gold watch on my wrist and like the look of it, you can use the code ROCKONHOLLY25 to get £25 off any Abott Lyon Watch before the end of April. FYI, this rose gold version has been so, so popular, it's currently on pre-order! Get your name on the list quick!! Hope you like this look! Let me know if you have joined the Bomber Jacket club yet? !